Supply chain leaders continue to rank demand variability as one of the top challenges to achieving their inventory goals and objectives. Demand variability is the difference or variance between what we expect to happen in our supply chain and what actually happens. In this white paper, you will learn about the 8 different indicators of demand volatility to help you better manage your inventory. 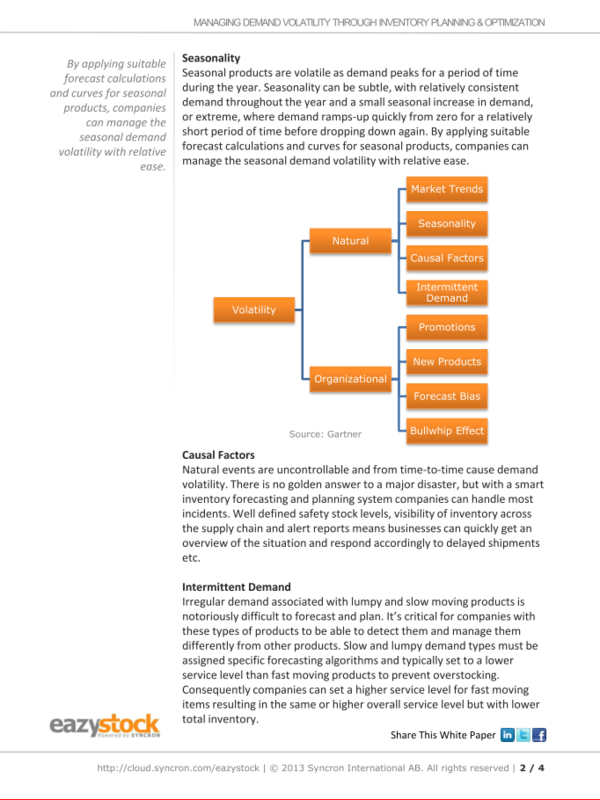 Fill out the form to download the white paper 8 different indicators of demand volatility.